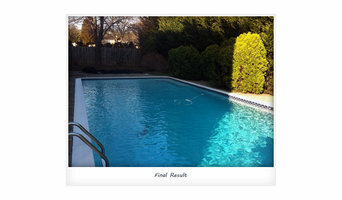 Majestic Pools, LLC is a Virginia Class A licensed swimming pool contractor located in Fredericksburg, Virginia. When you hire us, you are hiring trained craftsmen who pay close attention to your individual needs. Our head project manager, James, has had over 20 years of experience in the swimming pool construction and service industry. If you can dream it, we can build it. Check out our portfolio or browse through our swimming pool services section for inspiration. Laurel Pools Finding the best pool for your family is easy now that you have found Laurel Pools. Since 1976, Laurel Pools in Libertytown Maryland has supplied the magic of transforming backyards all over Mid-Maryland into a world of pure family fun and enjoyment. With countless designs from the best manufactures such as Leisure Pools and Pacific Pools, Eddie Griffith will help you find the right pool for you. Mike Nail, (Eddies brother-in-law) will build it to spec, and Carolyn (Eddies wife and Mikes sister) will keep those two in line as every good boss does. Now that you know the players, please enjoy our website. Give us call 301-304-2221 to get more information or to schedule an in home appointment. No cost, no obligation and certainly no strong arming by Eddie. Carolyn will put him on the couch if he does. Smart Management Group provides top of the line pool management services from facility openings/closings, staffing, repairs, and servicing. We have been making poolside living easy and exceeding the expectations of swimming pool enthusiasts since 1982. Our staff is the best trained, most helpful, and most knowledgeable in the area. They are professionals. Most of our team members have been with us for over 10 years, and several have been with us for over 15. Their loyalty to us reflects our loyalty to you. 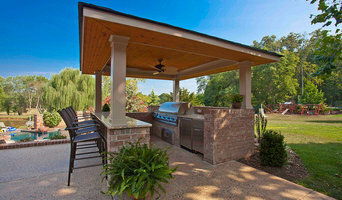 Because we believe in offering honest, quality workmanship backed by superior customer service. Call us for information on water care, equipment repair and even renovations. Let us service all your water care needs so you can spend less time working on your pool and more time enjoying it. 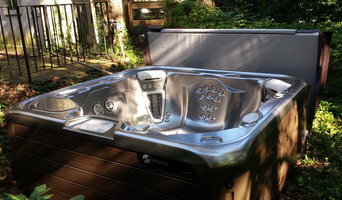 Spa and Pool Service is a family oriented company that has been in business for over 30 years. In that time we have worked the gamut of the pool and spa industry from building to service to maintenance. With our retail store opening in 1980 we remain deeply rooted in southern Maryland. Come visit our store and let our friendly staff test your pool or spa water. We strive to help you keep your water balanced with the finest products available. Let us solve your repair problems from our immense inventory of parts and supply network. No matter what type of pump, filter, cleaner, or sanitizer system you have, we have it all. We are your one stop shop! Swimmin Holes swimming pools are different because they are built better. The quality of our construction methodology and material used is far superior to that used by many pool companies. Our swimming pool construction division is one of the most experienced and knowledgeable in the east, The team is lead by the owner that has 40 years of experience building all types of pools, water features and water-parks (residential and commercial). We use only the highest quality material available to our industry to build high quality high end swimming pools.